If you're into the ocean (but you're terrible at keeping saltwater tanks alive), you may want to check out TheBlu. TheBlu, which just received a seed round of angel investment, is a worldwide art project focused on mapping out the oceans. Let me explain. 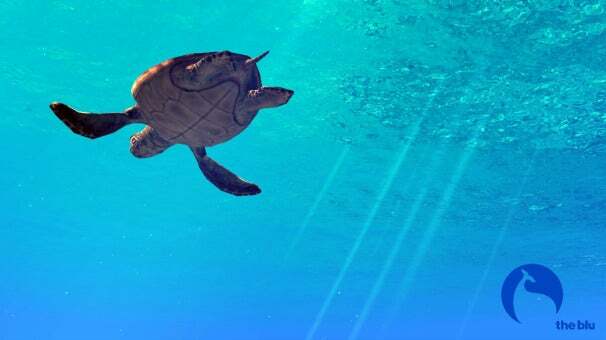 TheBlu is a web application that lets users "dive in" to the ocean and explore its species. It's sort of like a social networking game, because users are able to discover new species, share them with friends via Facebook, and even purchase more of that species to fill up their own personal "tank," or ocean. But TheBlu isn't just any old entertainment app--it's a Wikipedia-like collaborative art project that's backed by some pretty impressive names, including Avatar animation supervisor Andy Jones, MIT Media Lab Director Joichi Ito, and National Geographic Explorer in Residence Sylvia Earle. You see, each variant of each species in TheBlu is created by an artist--or a "maker." Though species variants are curated by TheBlu's team of scientists, experts, and artists, anyone with the appropriate skill-set is able to contribute to the project. At the moment, TheBlu is still in progress (and it probably always will be, to some extent). Each continent has a habitat, which features species and topography from that part of the world. For example, in Australia you'll find sandy bottoms and Great Barrier Reef species. TheBlu has ambitious plans to map out the world's oceans using its Unity-based 3D platform, but there are currently only a few habitats. TheBlu's interface is pretty simple and easy to use, though I did have some trouble seeing it thanks to the not-so-excellent Internet quality at CES. Users are able to view the ocean using different camera angles, and when they see a fish they like they can click on it for more information on both the fish and the artist who created it. Then, if they like the fish, they can purchase more of it in TheBlu's store--however, TheBlu's co-creator, Neville Spiteri, stresses that it's not necessary to spend money to enjoy the game. Species will be seen even if you haven't purchased them from the store, for example, but you will see more of that species, more often, if you do purchase it. TheBlu is pretty cool--I kind of wish my Internet connection was a little better so that I could play with it a bit more. It's many things in one: a collaborative art project, and ambitious plan to map out the world's oceans, and a social networking game. TheBlu is currently in private beta, though it will be launching publicly this year, but PCWorld readers can check it out right now by using the code CES2012. Just go to TheBlu.com and click "Join Now" and then click "Already have a Beta Invite Code."